In Greek mythology, the Gods of Olympus would consume honey as a drink or nectar to achieve immortality. For the rest of us mortals, honey is a fantastic product to feed our body and soul, and a wonderful gift in this festive season. Buying responsible honey products can also help save dwindling populations of honeybees, which sustain much of global food production. Here are some great bee-positive finds. 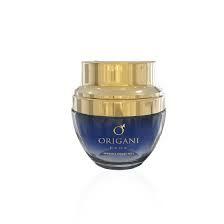 ORIGANI’s Gentle Exfoliator Manuka Honey Peel. Photo via ORIGANI website. I recently came across ORIGANI, a certified organic skincare brand from Australia. The company prides itself on sourcing organic-only botanicals and processing them in an environmentally conscious manner. Manuka honey is renowned for its amazing health benefits, especially for the skin and the digestive system. It is derived from bees feeding from Manuka bush nectar in Australia and New Zealand. Manuka honey has gentle, natural exfoliation properties, removing impurities and unveiling clean, smooth skin. ORIGANI’s Gods’ Nectar Manuka Honey Gentle Peel is said to soothe, soften and moisturise your skin while reducing the appearance of redness resulting from dry, irritated skin. Burt’s Bees Lip Balm has been the best-selling product since its launch in 1991. Photo via Burt’s Bees website. Another iconic product is Burt’s Bees Lip Balm, which was first developed 25 years ago as a side product of the company’s original candle-making business. 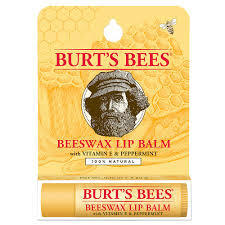 To this day, it is Burt’s Bees best-selling product. The company, which has the distinction of being the second greenest business in America, has been long engaged in environmental conservation, helping preserve 185,000 of Maine forest land. Given that the founder Burt was a beekeeper, it comes as no surprise that the company has actively campaigned for bee conservation, releasing a public service announcement to raise awareness about Colony Collapse Disorder. Today, all Burt’s Bees employees can receive a stipend to try their hand at beekeeping, following in Burt’s footsteps. 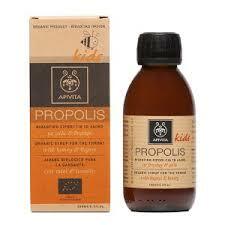 Apivita’s propolis and thyme syrup is a natural medicine against sore throats. Photo via Apivita website. I’ve written about Greek skincare brand Apivita before on this blog. What I’ve recently found out is that in addition to great creams, shampoos and face masks, Apivita also offers natural, honey-based remedies against colds, coughs and sore throats that are all too common in wintertime. For instance, their Kids Organic Syrup for the Throat with thyme and honey would be a tasty way to bee healthy! Apivita also supports bee conservation with 20% from each purchase donated to Friends of the Earth. Tahi Manuka honey. Photo via Tahi website. And, of course, honey is there to be consumed. The best Manuka honey comes from New Zealand, and one Kiwi honey producer that strives for environmental and ethical excellence is Tahi. Since taking over a run-down cattle farm 11 years ago, Tahi owners have restored 14 wetlands, planted over 280,000 indigenous trees and attracted numerous native bird and fish species to the habitat. Their beehives are managed responsibly, leaving sufficient honey for the bees to stay healthy during winter. The honey itself is certified as GE-free and carbon-neutral, and the company has won several sustainable business awards. And on top of running a successful honey business, Tahi also allows guests to stay and enjoy its Global Ecosphere Retreats-accredited property. A great honeymoon destination, don’t you think? Honey is a traditional gift in many different cultures, on many different occasions. In this season of giving, honey a gift that gives back – to people and nature. Wishing you all a Merry Christmas and a Happy New Year 2017!